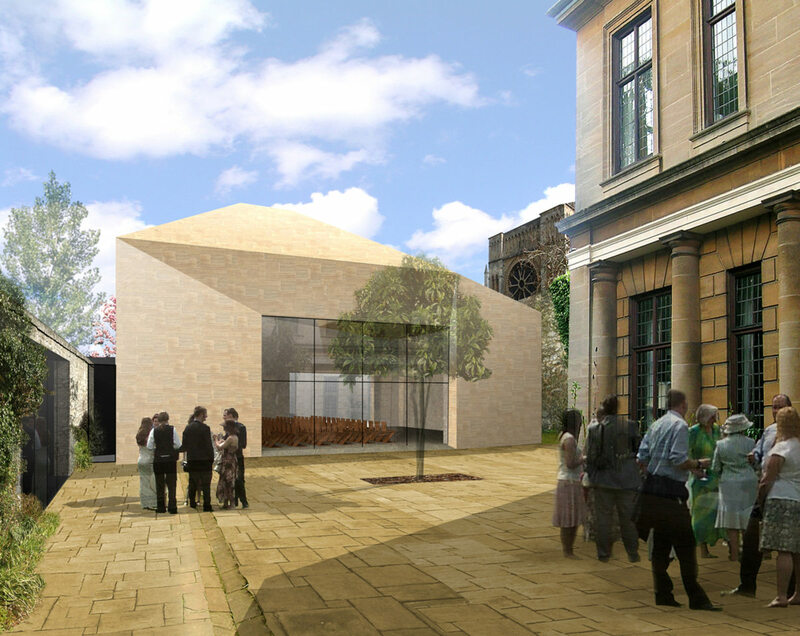 ABA participated in a competition to design a new auditorium for Corpus Christi College, Cambridge. 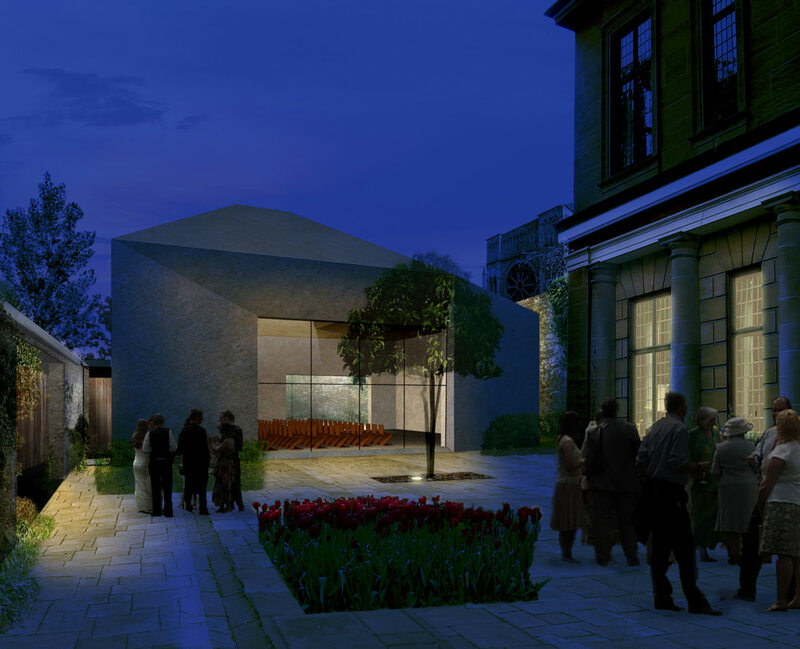 The proposal for a new auditorium was intended to enrich and expand the colleges Renaissance tradition of architecture as idealised, rational objects within a garden setting. The new auditorium is completely contemporary in its architectural language, sculpturally expressive and dramatic, but also highly respectful of its historical setting – in terms of scale, materiality and autonomy of form. The buildings support spaces are disguised within a new garden wall building, a thickening of the existing stone wall. The reclaimed garden areas flow through the auditorium into the curved enclosure of the bastions new Secret Garden. 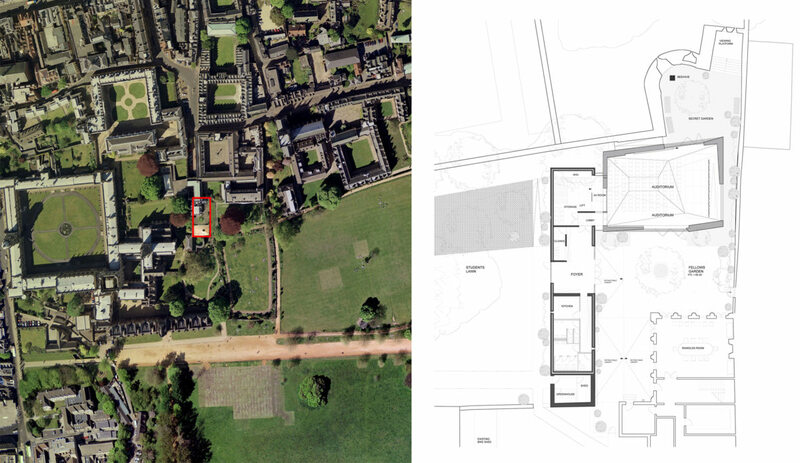 The auditorium performs many roles in the narrative experience of Corpus Christis quadrangles and gardens, as well as in the composition of views from the Christ Church Masters garden and Meadows. 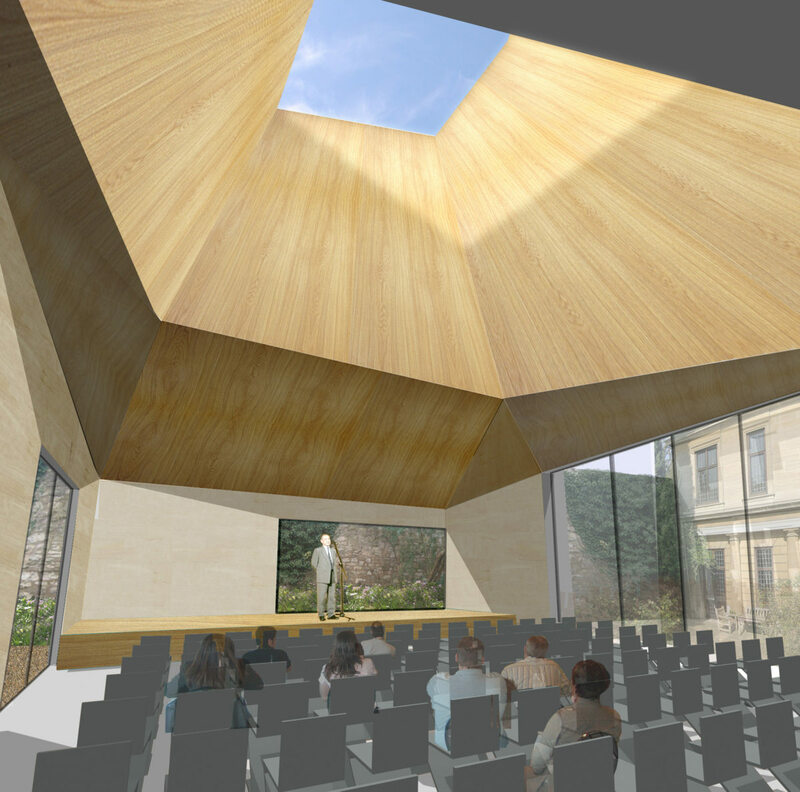 Primarily the building can be perceived as a discreet, self contained object in the Fellows Garden hewn from the same golden stone as its neighbours. However, with its carved away roof, large apertures and acoustic doors open it is also a porous structure that permits light and views through and around its volume, to the ancient bastion wall and the cathedral beyond.